Rejoice Dragon Quest fans! Square Enix just confirmed(or should I say announced) that Dragon Quest Heroes will be coming in the West in Ocotber, more precisely on October 13th in the US and October 16th in Europe. We had a semi confirmed rumor a few days ago about its American release date and we were right on the money on that. Exclusive In-Game Content, Including: Slime Sword, Goodpid’s Bow, Gooey Gloves, Splat o’ Nine Tails, Goomerang, Squishing Rod, Slime-on-a-stick, Goobeat Sword, Gungenir, and two additional playable maps, Gold-Digger’s Map and Happy Map. *On or Near Release Date Delivery. While we try our best to schedule delivery to arrive on the release date, actual delivery date may vary depending on your location and method of shipping. Orders received after September 28th, 2015 11:59pm PST will arrive after the Release Day. • Overpower Hundreds of Monsters: Become the hero of the battlefield as you swing into action against seemingly impossible odds. Cleave through the relentless swarms of monsters and battle gigantic foes in epic clashes of good versus evil! • Fight Alongside Legendary Characters: Players can embark on a journey with some of the most beloved characters of the DRAGON QUEST series – all voiced – to form their own party of four and stride into battle. From the sultry Maya of DRAGON QUEST IV fame to Yangus, the thief with a heart of gold from DRAGON QUEST VIII, the player’s party will always be full of character. • Strategy-Oriented Battles: Players can level up each character and upgrade their unique spells and abilities. Swapping between characters strategically and unleashing the right skill at the right time will help players survive the toughest battles. • Collect Monster Coins to Turn the Tide: Gather monster medals from defeated foes to bring them back to the battlefield as allies or to take advantage of their special skills. Up to 24 monsters can fight by the player’s side at any one time. 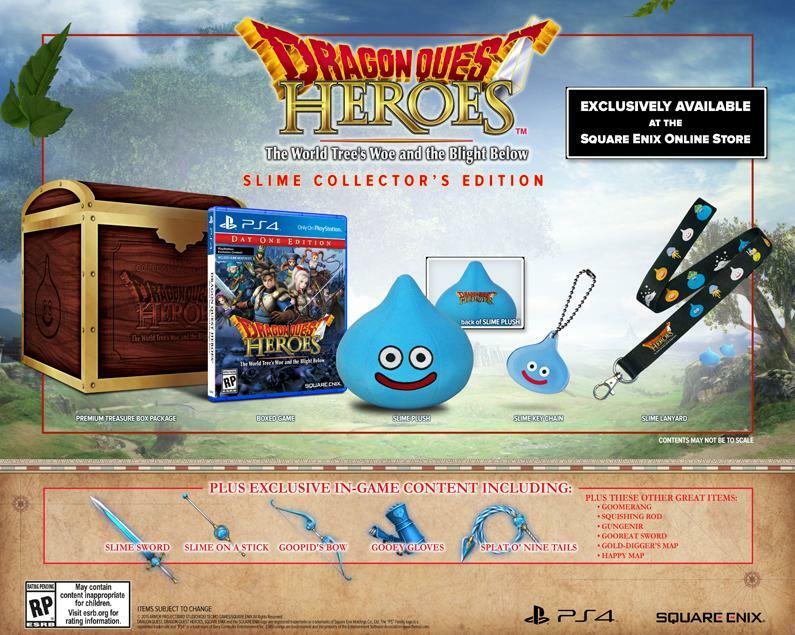 Dragon Quest Heroes will be available in October exclusively on PlayStation 4. Let us know in the comments if you’re going to pick it up. I sure am.